With all the depressing news coming out of Pakistan in the last few months, there is one major development that has me hopeful and excited. 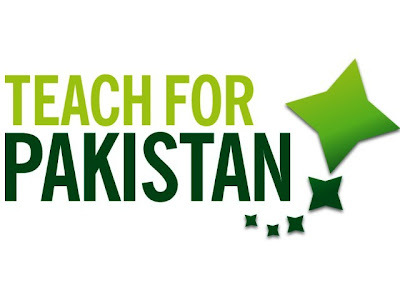 Last month saw the launch of the Teach For Pakistan movement, which aims to expand the urban poor’s access to quality education by recruiting highly qualified young Pakistanis to teach in under-resourced schools for two years. In the long-run, these ‘fellows’ will go on to be successful leaders in various other fields, but will continue to support local educational initiatives from their positions of influence. In the US, Teach For America (which the movement in Pakistan is modelled on) has been operating for over 20 years — with tremendous academic impact. Most alumni, over 60 percent in fact, have stayed within the field of education and continue to make an impact as educators and social entrepreneurs. In India, we launched a similar movement in the summer of 2009. Almost two years ago, I was sufficiently inspired by the transformational power of grassroots work in education to come join Teach For India in Mumbai. But it was not easy. Leaving behind my banking job in New York meant exposing myself to financial insecurity, living the Spartan life of a schoolteacher and battling social and parental misgivings. But I was not alone either. I was inspired by 87 young idealists who had joined with me — all giving up lucrative careers and moving cities, countries and continents. Teaching in Mumbai’s harsh Prem Nagar slums, some sights and sounds have become permanently etched in my mind — the family of five who cannot afford to send all their children to school, and therefore picked two, a girl and a boy; the beatings that a 3rd grade student can receive at home for scoring poorly on a weekly class test; a young girl reciting a poem from memory in fluent English without understanding a word of what she is saying. My worldview changed dramatically as I saw firsthand the stark challenges of poverty — illiteracy, child labour, abuse and the privations imposed by caste hierarchies. I was astounded by this contradictory nation — innovative yet impoverished, globally oriented yet parochially sectarian. Despite the posturing of our politicians and patriotic czars, the reality is that the lowest sections of Indian and Pakistani society are united by their shared sorrows. The education received by a child is still largely determined by their birthplace and their socio-economic background. If Nehru and Jinnah could see our countries today, 62 years after independence, nothing would shock them more than the extent of illiteracy among the masses. They would be appalled that half the adult population (and more than half the female population) remains unable to read and write, and powerless to break the cycle of poverty and servitude. In India, 15 out of every 100 children will never attend school. And among the 85 children who do, 50 percent will drop out before 5th grade. The challenges are manifold and multi-layered. Firstly, there is limited access to schools (particularly in rural areas) and, in cases where they do exist, the quality of education is often poor and the infrastructure abysmal. For example, a recent study showed that only 55 percent of schools in India have separate toilets for girls — a major reason for parents not sending their daughters to study. Teacher absenteeism is rampant and textbooks, as vehicles for government propaganda, offer little contextual relevance in a student’s everyday life. Education here largely involves the teacher playing narrator in the classroom. Students are receptacles who are trained to memorise and reproduce. The more meekly they accomplish this, the better students they are. But as young children are forced to submit to rote learning, they lose the critical consciousness they will need to succeed in the years to come. And as they embrace educational passivity, they also more readily accept the imperfections and injustices their societies impose on them. The young leaders of this movement have a chance to provide young children with the essential tools for self-defence and empowerment in tomorrow’s Asia. Imagine the socio-economic revolution possible if our youth are better equipped to compete for secure employment, to defend themselves in court, to enforce their rights, to take advantage of technology and to take part, intelligently, in political activity. Even without teaching full-time, there are numerous ways to contribute and be a part of the solution. Your time and presence is the most valuable commodity you can part with. Volunteering in classrooms and talking about your life and work allows students to fashion a broader mindset. They learn to communicate more effectively and find role models to emulate. Even something as simple as donating and reading out simple, colourful storybooks — which affluent children have easy access to — makes a huge impact. In just two years as a teacher, I ended up learning much more than I could ever teach. And I hope that the thousands of young, accomplished Pakistanis who join and support Teach For Pakistan will have a similarly profound experience — in humility, perseverance and leadership. India's IT billionaire Azim Premji has recently given $2 billion to set up a foundation to improve primary education in India. From what I have read about it, I believe Premji is making a great investment in the future of India by focusing on the improvement of primary education. That's where the process of rote learning starts as children and stays with the students through higher levels of education which can at best prepare robotic code coolies and intellectually subservient others who mindlessly copy the western model. It does not produce creative and original thinkers and doers needed to solve South Asia's massive problems resulting from rising population amid rapidly declining resources. Then why is it that people from this education system routinely beat the western students in their own collages at the post graduation level when they migrate to the west? In anycase i seriously doubt that creativity can be taught in a classroom the way maths can be taught.I think creativity is a function of social conditioning NOT formal education. And national pride aside copying can be far far more economically efficient than reinventing the wheel with a large risk of failure. There is reason why most asian countries starting with Japan have modernized rapidly by copying and later adapting western ideas and technology. Anon: "Then why is it that people from this education system routinely beat the western students in their own collages at the post graduation level when they migrate to the west?" Routinely beat at what? At doing what has been done mullion of times before them? Let's face it. The nature of the problems South Asia faces are very different with their massive and growing populations amid scarcity of resources like air, water, land and energy. If South Asians simply copy the West and try to live like Americans, it would take the resources of 5 planets earth...an impossible proposition. So they have to find different way to grow and utilize resources far more efficiently than the West has done during its development in an earlier era. It's a completely different ball game requiring new playbooks and new rules. What India and Pakistan need are more Norman Borlaugs rather than more Bill Gateses to feed their populations. And wife of a friend of mine is a teacher at NJ school. it seems, indian rote learning in school, which we all frown upon, is being acknowledged as better than american school system has to offer. Recently she was mentioning it to me. And BTW chinese and east asian education system is also rote learning. .. the classrooms of Nagla are a laboratory for an educational approach unusual for an Indian public school. Rather than being drilled and tested on reproducing passages from textbooks, students write their own stories. And they pursue independent projects — as when fifth-grade students recently interviewed organizers of religious festivals and then made written and oral presentations. Nagla and 1,500 other schools in this Indian state, Uttarakhand, are part of a five-year-old project to improve Indian primary education that is being paid for by one of the country’s richest men, Azim H. Premji, chairman of the information technology giant Wipro. Education experts at his Azim Premji Foundation are helping to train new teachers and guide current teachers in overhauling the way students are taught and tested at government schools. Actually hard work is often derided as rote learning in the US. Basically life isn't all fun and games and excitement there is a considerable amount of pain and grudgework involved in ANY academic endavour,Indians and East Asians seem to excel at this which probably explains why Indians have the highest per capita income of any major national subgroup in the USA. Also I refuse to buy the argument that the US is somehow organically more creative creativity is a two way street if the correct social and market conditions exist ppl from good engineering colleges like IIT,DCE etc have created innovative startups like Sun microsystems,hotmail,juniper networks etc when given opportunities that silicon valley affords them. As the Indian economy develops you see a large number of innovative companies cropping up. Anon: "Also I refuse to buy the argument that the US is somehow organically more creative creativity is a two way street if the correct social and market conditions exist ppl from good engineering colleges like IIT,DCE etc have created innovative startups like Sun microsystems,hotmail,juniper networks etc when given opportunities that silicon valley affords them." It's no accident that almost all of the major breakthroughs of the last 50-100 years ranging from the light bulb, DNA discovery-sequencing, transistor, integrated circuits, computer programming, the Internet, to nanotechnology have come from the United States. The culture of innovation can not come from a culture of conformity and obedience that is so common in Asia. Original thinking requires room for questioning and reasoning and an end to rote learning. Our young people need to be given more freedom to think and innovate to compete with the West rather than simply copy what has already been done to solve the problems of the West. Universities in Asia need to encourage research and innovation to solve Asia's problems today to come up with a new industrial revolution that is sustainable given the rising populations and declining natural resources. It requires new ways of organizing societies to address Asia's unique problems in the interest of the greater good of the communities and societies. Intellectual subservience to the West will not solve Asia's problems going forward. That's because the US has been the world's largest economy for the past 100 years and not had a war fought on its soil since the civilo war. Peace and prosperity=ideal ground for innovation. USSR had a very rigorous you could say rote based asian style education system. Germany also has a very thorough education system with emphasis on physics,maths and memorization of vast amount of classical texts. Anon: "That's because the US has been the world's largest economy for the past 100 years and not had a war fought on its soil since the civilo war. Peace and prosperity=ideal ground for innovation." It's quite possible that peace contributed to it, but you can not discount the importance of the culture of openness, questioning and reasoning as a strong foundation for America's creativity. Germany also has a very thorough education system with emphasis on physics,maths and memorization of vast amount of classical texts." I agree the that US has no monopoly on creativity, but the hundred year record shows that it excels in it. Nobel thought but if you'll excuse me for saying what is your alternative? Sharia and islamic law?? No thanks India's current priority is to lift hundreds of millions out of poverty and become a middle income country in the next 20 years or so.Its important to follow the path of least resistance and run with what works. The west did not reject it saying it was 'foreign' but readily assimilated it and developed it further since as a cultural entity they saw the advantages of it. Similarly we see great benefits in adopting western concepts of democracy,free markets,rule of law,capitalism and secularism. Actually Riaz the US overtook the UK as the world's largest economy in 1896 BUT was a very distant also ran compared to Germany,UK,France in Science and tech ttill the 1940s(That's 50 years!). WW 2 was the manna from heaven for the US when massive brain drain of Europe catapulted them to supremacy. US science and tech might was and is built on massive brain drain from the rest of the world to its universities first from Europe then from Asia.Its school system according to PISA is near the bottom in OECD. As Asia modernizes and the educated middle class fine cushier jobs at home the brain drain will slow to a small trickle and US science and tech dominance will reduce over the coming decades to a point where it is first among equals instead of the position of running a one man race it is currently in. Anon: "WW 2 was the manna from heaven for the US when massive brain drain of Europe catapulted them to supremacy." The industrial revolution did start in Europe, particularly the UK, and then came to the United States. Anon: "US science and tech might was and is built on massive brain drain from the rest of the world to its universities first from Europe then from Asia.Its school system according to PISA is near the bottom in OECD." I don't buy these PISA or other rankings which are based on standardized tests that measure acquisition of facts rather than capacity to think and create. The best measure of creative prowess is to look at the number of original innovations and Nobels that go the US scientists every year....the list is very very long, and most of the recipients are born and raised in the US. The US higher education is miles ahead of any nation in the world, and its universities attract and produce the best and the brightest scientists, engineers and thinkers. no question about it BUT ultimately the #1 reason for that is the mega $$$ poured into research every year which is correspomdingly higher than other countries as China and 10-20 years later India close the science spending gap in the 2030-2050 timeframe this will not always be the case. number of innovations and Fortune 500 companies per capita is slightly higher in Germany than USA. Anon: "On a per capita basis Germany is still about equal to the US in innovation.Strenghts are different US is unbeatable in IT,biotech etc Gemany in the classics mechanical engineering,electrical etc etc"
I think the word "innovation" here is used loosely to describe every minor patentable improvement to a product or process. Personally, I am hard pressed to think of any fundamental breakthrough coming out Germany after WW II. Anon: "no question about it BUT ultimately the #1 reason for that is the mega $$$ poured into research every year which is correspomdingly higher than other countries as China and 10-20 years later India close the science spending gap in the 2030-2050 timeframe this will not always be the case." Dollars help, but I think culture of innovation can not be bought. It requires more of a social change to promote free thinking and free inquiry unencumbered by stifling old social customs and traditions. I think it can only supplement regular teachers;and the falling record of American students compared to students from other countries in those 20 years doesn't indicate progress. I think Teach for Pakistan will raise awareness of Pakistan's needs amongst those who volunteer and that is a good thing. It can maybe help students become more motivated, through a temp mentoring program. I think these students should teach Pakistani students how to get educated from knowledge on the net. There is so much out there. It will help them make up for what they are not getting in Pakistan. Mayraj: "I do not know that teach for America is that successful"
Pakistan faces major challenges in terms of providing universal access to and improving quality of primary and secondary education in the public sector. The nation needs a lot more functioning public schools and teachers to get gross enrollment up to assure that it can achieve close to 100% basic literacy at some point in the future. The quality of primary education is also very poor. It's essentially rote learning that does not challenge students to think and create anything on their own. If motivated young college educated people can fill the gap and develop a spirit of volunteerism, it will be a good thing for Pakistan's future. At a minimum, it'll teach them to light a candle rather than curse darkness. "Then why is it that people from this education system routinely beat the western students in their own collages at the post graduation level when they migrate to the west?" below the OECD mean. Since secondary enrollment in India is below that of other countries in the TIMSS study, the performance of the median child is almost certainly considerably worse." This is consistent with a South Asian IQ of approximately 85, which is a good 15 points below the White mean. Whites don't dominate the ranks of Nobel laureates and Fields Medalists being stupid ... and stupid people didn't make the airplane, harness electricity, create symplectic geometry, the transistor, the polio vaccine, the MRI, the internal-combustion engine, modern democracy, the theory of Banach spaces, prove Fermat's last theorem and the Poincare conjecture, propose those conjectures, compose the Moonlight Sonata, discover the purine-pyrimidine structure of the DNA ladder, and pretty much everything that separates the civilized from the uncivilized. Who are the best Mathematicians, Physicists and Computer Scientists in the world? IITians? Hell no. Use statistics to correct your biases and get off your high horse. "Its school system according to PISA is near the bottom in OECD." This has to do with the cohort taking the test - expect things to get worse. There really is NO better predictor of a populations success than getting a good sense of the demographic mix. Asian Americans outscored every Asian country, and lost out only to the city of Shanghai, China’s financial capital. Hispanic Americans beat all eight Latin American countries. African Americans would likely have outscored any sub-Saharan country, if any had bothered to compete. The closest thing to a black country out of PISA’s 65 participants is the fairly prosperous oil-refining Caribbean country of Trinidad and Tobago, which is roughly evenly divided between blacks and South Asians. African Americans outscored Trinidadians by 25 points. America does a pretty good job educating its kids, and a pretty poor job controlling its borders. That's the memo. Riaz, I can see you have chosen not to post my other comment about the performance of American schools vis-a-vis the rest of the world, perhaps due to a link to a rather politically incorrect site. I do hope you will post this comment at least so that the notion that America's "school system according to PISA is near the bottom in OECD" is looked at from the right perspective. While I too am a desi, I find desi supremacism rather unfortunate, unbearable, and unmoored from reality. "Asian Americans outscored every Asian country, and lost out only to the city of Shanghai, China’s financial capital. African Americans would likely have outscored any sub-Saharan country, if any had bothered to compete. The closest thing to a black country out of PISA’s 65 participants is the fairly prosperous oil-refining Caribbean country of Trinidad and Tobago, which is roughly evenly divided between blacks and South Asians. African Americans outscored Trinidadians by 25 points." Really, the trends alluded to about falling US PISA scores are all about demographics. The school system works fairly well, as the above data indicates. 1.Rajasthan and Orissa are two of the most backward states of India. The two Indian states that participated in PISA are Tamil Nadu and Uttaranchal we will see the results at the end of 2011. 2.Top 5% are according to the study comparable to Norway since middle class in these backward states are about 5% it is quite creditable that practically ALL middle class children in even the most backward states of India are at par with Norway with per capita income of $70,000 which spends much much more on each child than middle class Indians do. 3.The very low scores of most children can be attributed to the unfortunate fact that they are first generation literates and it is known that children of educated parents do far better due to the condusive atmosphere at home. Riaz, I apologize for this long post. There is tons of data that refutes the arguments being made, and I have put references to literature to strengthen by refutations. "A few points: ... "
could write. The average of Orissa (83.98 percent (read), 71 percent (divide) and 95.3 percent (write)) and Rajasthan (92.9 percent can read, 92.4 percent can divide and 98.5 percent can write)is surprisingly not far oﬀ the Indian average—if anything, these results suggest that children in these two states may be scoring higher than the rest of the country. " Do also note that Table 5 summarizes where India would stand as a country, in terms of mean Math achievement, and it is essentially on par with Palestine, and worse than Egypt and Tunisia. b) Norway's 95th percentile is 1/3rd of a standard deviation above India's. This is non-trivial. 3. "The very low scores of most children can be attributed to the unfortunate fact that they are first generation literates and it is known that children of educated parents do far better due to the condusive atmosphere at home." Please refrain from spouting pet theories and present something that is backed up by data. This has little to do with "atmosphere at home" and more to do with genes passed on to offspring. Also see adoption studies (specifically, the Minnesota transracial adoption study) that indicate that environment has a statistically limited impact on offspring IQs. Also note that African-American children of parents with graduate degrees have lower SAT scores than white children of parents with a high-school diploma or less (refer to La Griffe du Lion, Volume 2 Number 3, March 2000). This too negates your hypothesis. Please offer data-based rebuttals next time. Also, if you choose to cast aspersions on the authors of these papers, do so by providing an alternative list of papers or technical literature. You do agree that middle class of Rajasthan and Orissa are more or less equal to Norway vis a vis intellectual achievement. The middle class are not genetically different from the poor in India unlike say south africa where there is a clear white-black divide therefore the abysmal score has to be due to poverty which leads to inferior enviornment for students to learn. Alas there is a lot more to educational achievement than genetics.That's why even countries with an abundance of 'intelligent genes' invest so much money in educating their children. Btw how's the neo eugenics movement coming along? This is amusing. If I have the intellectual honesty to agree, with qualification, to one of your points, you choose to ignore the rest of the rebuttal. That betrays both an ignorance of statistics and poor awareness/comprehension of literature. "The middle class are not genetically different from the poor in India unlike say south africa where there is a clear white-black divide therefore the abysmal score has to be due to poverty which leads to inferior enviornment for students to learn." And since Subhash Khot, last year's NSF Waterman awardee, is no genetically different from other Indians, it means everyone can be a Subhash Khot, right? "Alas there is a lot more to educational achievement than genetics.That's why even countries with an abundance of 'intelligent genes' invest so much money in educating their children." Did you even read the Turkheimer paper that Dr. Hsu posted on? If you're incapable of reading/understanding technical literature then don't bother to argue. 1. Chinese peasants score better than the Indian middle class on IQ tests. 2. Shanghai, which participated in the PISA, scores better than OECD countries despite having poorer facilities and a far lower investment in education than other countries. New Jersey, in contrast, has the 2nd highest educational spending in the US (see here: http://www.eiaonline.com/statistics/tables3-4.pdf) but pretty poor outcomes. Demographics is destiny! India has roughly the same number of Mathematically advanced students than S. Korea which has roughly 5% of India's cohort enrolled in schools. There's a reason why the East Asians dominate the Math Olympiads. Should have known all along. If that's a hint of sarcasm, it might only indicate how indoctrinated your are to not see reality for what it is. "As it turns out, Indian students perform worse than 42 of the 51 countries tested in 2003. The average student from Orissa and Rajasthan could only answer 37 and 34 of the questions correctly whereas the international average was 52. The bottom 5 percent of Indian students perform worse than students of all countries except three. About 85 % of 9th grade Indian students struggled to even choose the minimum value out of the set 0.625, 0.25, 0.375, 0.5 and 0.125. Many will try and argue that Rajasthan and Orissa are perhaps not the most representative states, however the nationwide Pratham survey (which tests students of lower grades) indicated that these states are among the better performing ones in India when it came to quality of education. If anything the choice of Orissa and Rajasthan might have given a positive bias to the true all India situation." "But of the 70 finalists in it, 20 were from China, 10 from Russia and only two from the US. China's showing in the finals was also helped by the sheer volume of its numbers, 894. India followed at 705, but none of its programmers were finalists." Multiple Chinese teams in the top 10 - none from India. Software superpower India? The code coming out of China is clean, their pool of talented high-IQ, and conscientious people nearly limitless. Wait and watch -- 10 years later China really will have us creamed here too. International Math Olympiad - the less said the better. 9 of the last ten years, Chinese have come first. 8 Indians have got golds in the last 40 years - over 40 Chinese have in the last 9. The much vaunted IITians again bite the dust. I mean, in 2006 (individual ranking data checked only for that period), 6 of the top 13 participants at the IMO were Chinese. The top ranking Indian was ranked 140-odd. They probably have a pool of over a 100 students better than the best IITian Math student any given year. That's a mind-blowing performance at the high-IQ end of the spectrum (corroborated by data indicating they have a 20 point IQ edge over India). We know where the future fields medalists are going to come from. were awarded *gold* medals (cutoff: top 1/12 of all contestants). Now we turn our attention to the International Physics Olympiad (IPhO). we're sampling a different talent pool here. dogs hail from North East Asia. "Something more than the mental mechanics of classical music makes this decisive for China. In classical music, China has embraced the least Chinese, and the most explicitly Western, of all art forms. Even the best Chinese musicians still depend on Western mentors. Lang Lang may be a star, but in some respects he remains an apprentice in the pantheon of Western musicians. The Chinese, in some ways the most arrogant of peoples, can elicit a deadly kind of humility in matters of learning. Their eclecticism befits an empire that is determined to succeed, as opposed to a mere nation that needs to console itself by sticking to its supposed cultural roots. Great empires transcend national culture and naturalize the culture they require. " "The world’s largest country is well along the way to forming an intellectual elite on a scale that the world has never seen, and against which nothing in today’s world - surely not the inbred products of the Ivy League puppy mills - can compete." The Asians eschew religion in favor of the best from the West. They eschew political correctness in favor of what works - be it in social science or the hard sciences. And they're astonishingly smart. The examination is considered to be very difficult: it is typically attempted by students specializing in mathematics, but the median score is usually one or two points out of 120 possible, and there have been only three perfect scores as of 2008[update]. In 2003, of the 3,615 students taking the exam, 1024 (28%) scored 10 or more points, and 42 points was sufficient to make the top 102. Many Putnam Fellows have gone on to become distinguished researchers in mathematics and other fields, including three Fields Medalists—Milnor, Mumford, and Quillen—and two Nobel laureates in physics—Feynman and Wilson. Wow but tell me why did the han master race get so comprehensively thrashed over the past 200 years u know Japan,UK...(Just about everybody). Also why have Indians won more NOBEL PRIZES than Chinese? Also why is it that 1.4 billion han have collectively created less technology over the past 1000 years than a relatively small country like the UK ? High IQ genes I'm sure. Also I'm pretty sure you have few achievements of your own and thus hide behind statistics. "Also why have Indians won more NOBEL PRIZES than Chinese?" I'd be hard-pressed to believe that you're not an ignoramus, though there is, of course, a chance that you're choosing to be untruthful. (Also note that 3 of the 4 belong to one highly intelligent subgroup of South Asians, probably the only intelligent group other than the Parsis). Indians = ZILCH! ZIP ! ZERO! "Wow but tell me why did the han master race get so comprehensively thrashed over the past 200 years u know Japan,UK...(Just about everybody)"
Anyway, the answer probably lies in the Qing dynasty which closed China up and protected against foreign influences. Individual European countries, OTOH, were allowed to build on each others breakthroughs. This historical anomaly is being corrected though, and China will surely occupy center-stage in all respects very shortly. The writing is on the wall, and only a fool will ignore it despite mounds of contrary evidence. "Also I'm pretty sure you have few achievements of your own and thus hide behind statistics." Err, personal slights in lieu of arguments? Seeing your pathetic command of the English language, your inability to comprehend even social science papers, and your puerile theatrics and shifting goal-posts, I see little basis for you to cast aspersions on my competence. Indeed, while I have few real achievements, I was at least part of the IMOTC (http://en.citizendium.org/wiki/International_Mathematical_Olympiad_Training_Camp), which puts me in a position to understand what real Math is about - something I doubt you have any idea of. ISLAMABAD: The quest for knowledge in rural areas, particularly in females, compensated for the declining trend of getting an education in cities, according to the Pakistan Labour Force survey. In 2009-10 the literacy rate in Pakistan marginally increased to 57.7 per cent due to an increase in the literacy ratio of females in rural areas. During the preceding year the literacy rate was 57.4 per cent. The male literacy rate stood at 69.5 per cent while it was 45.2 per cent for females. According to the official definition, the literacy rate is that percentage of the population ten years and above which is able to read and write in any language. Though more than half of the rural population is illiterate, the ratio improved by over half a percentage point to 49.2 per cent by June 30, 2010 due to an increasing number of women and girls who can read and write. The female literacy ratio improved to 34.2 per cent, a progress of 0.8 per cent in a year. In rural areas, the 63.6 per cent male literacy rate improved by only 0.4 per cent in comparison. The literacy rate in urban areas marginally declined due to a dip in the number of men who qualify as literate. The urban literacy ratio decreased 0.1 per cent to 73.2 per cent, due to a fractional reduction in the male literacy rate. At present more than eight out of ten urban males are educated but the ratio is below that of 2008-09. The provincial literacy rates also depict interesting trends. In Punjab and Khyber-Pakhtunkhwa, the number of educated people increased, while it decreased in Sindh. The figure remained stagnant in Balochistan at 51.5 per cent. Punjab turned out to be the most educated province, followed by Sindh, Balochistan and Khyber -Pakhtunkhwa. In Sindh the percentage of educated people dropped by one per cent to 58.2 per cent in 2009-10. The declining ratios were witnessed across the divide, rural, urban, females and males. Contrary to that in Punjab the literacy rate increased to 59.6 per cent. Over half of the rural population is literate and the urban literacy ratio stood at almost three-fourth in the province. In Khyber-Pakhtunkhwa the literacy rate increased to 50.9 per cent, a progress of almost one per cent. The rural literacy rate increased to 48.4 per cent but the urban literacy dipped by 0.4 per cent. The urban literacy rate increased while the rural literacy rate declined. In terms of level of education, near four out of ten literate people are not even matriculates. Another one out of ten is below intermediate, the survey reveals. Only 4.7 per cent of the total literate population has cleared intermediate but not bachelor’s and just 4.3 per cent have a bachelor’s or above. Even today over four out of ten Pakistanis are illiterate according to official figures. Those among the 135 countries that improved most in Human Development Index (HDI) terms over the past 30 years were led by Oman, which invested energy earnings over the decades in education and public health. The other nine “Top Movers” are China, Nepal, Indonesia, Saudi Arabia, Laos, Tunisia, South Korea, Algeria and Morocco. Remarkably, China was the only country that made the “Top 10” list due solely to income performance; the main drivers of HDI achievement were in health and education. The UNDP report said that in Pakistan, between 1980 and 2010, the HDI value increased by 58 per cent (average annual increase of about 1.5 per cent). “With such an increase Pakistan is ranked 10 in terms of HDI improvement, which measures progress in comparison to the average progress of countries with a similar initial HDI level”, it added. Pakistan’s life expectancy at birth increased by more than nine years, mean years of schooling increased by about nine years and expected years of schooling increased by almost 4 years. Pakistan’s Gross National Income (GNI) per capita increased by 92 per cent during the same period. The relative to other countries in the region, in 1980, Pakistan, India and Bangladesh had close HDI values for countries in South Asia. However, during the period between 1980 and 2010 the three countries experienced different degrees of progress toward increasing their HDIs states the Report. The Report introduces the Multidimensional Poverty Index (MPI), which identifies multiple deprivations in the same households in education, health and standard of living. The average percentage of deprivation experienced by people in multidimensional poverty is 54 per cent. The MPI, which is the share of the population that is multi-dimensionally poor, adjusted by the intensity of the deprivations, is 0.275. Pakistan’s “HDI neighbors”, India and Bangladesh, have MPIs of 0.296 and 0.291, respectively. The Pakistani government says the country is in the midst of an educational emergency with disastrous human and economic consequences. A report by a government commission found that half of all Pakistani school children cannot read a sentence. The commission found funding for schools has been cut from 2.5% of GDP in 2005 to just 1.5% - less than the national airline gets in subsidies. It describes the education crisis as a self-inflicted disaster. The report says 25 million children in Pakistan do not get primary education, a right guaranteed in the country's constitution. Three million children will never in their lives attend a lesson. The report says that while rich parents send their children to private schools and later abroad to college or university, a third of all Pakistanis have spent less than two years at school. "Millions of children are out of school, there is a crumbling infrastructure and education budgets are constantly shrinking but... the situation can be improved in a matter of years if there is a political will for change," the report says. It says that at the current rate of progress Punjab province will provide all children with their constitutional right to education by 2041 while Balochistan province - the worst affected area - will not reach this goal until 2100. The report says that only 6% of children in the country get their education in religious schools or madrassas. The report said that Pakistan - in contrast to India, Sri Lanka and Bangladesh - has no chance of reaching the UN's Millennium Development Goals for education by 2015. The findings also affect population growth - because educated women have smaller families with children who are healthier and more inclined to use their own education to nurture the next generation. The report concludes that if the government doubled its present spending on education, significant progress could be made in just two years. One of the measures of the goodness of a nation, particularly its middle class, is its level of civic engagement. By this measure, advanced western nations lead the pack with the United States in #1 position, followed by Ireland, Australia, New Zealand, Britain, Holland, Canada, and lo and behold! Sri Lanka. In South Asia, Pakistan is a distant second to Sri Lanka's 51% participation rate. Pakistan's participation rate of 42% ranks it at 27, the same as Israel. India lags far behind with the participation rate of only 28% ranking it at 48 among 130 nations, according to a recent Gallup poll on civic engagement that included 130 nations. While 53% of Sri Lankans gave money to charity and 53% volunteered time, 51% of Pakistanis contributed money and 27% volunteered time. In India, 28% donated money and 18% volunteered time. Comparable figures for the top-ranking United States are 65% and 43%. Sesame Street is launching an adaptation of its children's tv show produced in Urdu for Pakistani audience, according to the Guardian newspaper. There's no Cookie Monster, no Big Bird and no Count von Count. But Pakistani children will soon start experiencing what millions in the west have done for more than four decades – the joys of Sesame Street. In a $20m (£12m) remake of the classic American children's programme, the setting for the show has moved from the streets of New York to a lively village in Pakistan with a roadside tea and snacks stall, known as a dhaba, some fancy houses with overhanging balconies along with simple dwellings, and residents hanging out on their verandas. Sesame Street International already co-produces 18 localized version, including those in Bangladesh and India, and reaches millions of children in 120 nations around the world. Much has been spoken and written of India’s “demographic dividend.” With almost 40% of the population – around 500 million people – under the age of 15, it is estimated that around 25% of the global workforce will be Indian by 2030. What this means is that the quality of education that young Indian children are receiving today is going to impact us all in the near future. 1. Commit to spending more on education. Way back in 1968, the Kothari Commission recommended that India spend 6% of its Gross Domestic Product on education. However, in the 43 years since, India’s total educational outlays have never exceeded 4.3% of its GDP in any given year. Setting aside more funds for education is a critical first step that will demonstrate the government’s commitment to educational reform. 2. Fix primary education first. There are two major tasks here: raising enrollment to 100% in urban as well as rural areas; and then minimizing drop-outs. Both need to work in tandem to be meaningful. In Mumbai, for instance, enrollment rates are very high – above 95% — but only a fraction of these students actually finish school due to absurdly high drop-out rates. In addition, eliminating gender gaps at this early stage must be a priority. Shockingly, in some rural areas, thousands of young girls do not attend school because there are no separate toilets for them. Other girls do not attend because the walk to school – often in a neighboring village – is unsafe. 3. Yes, the answer is building more schools with better infrastructure. But even as the government and private institutions are building more schools, the quality of instruction is falling sharply. Teacher training needs a great deal of work and effort. Here, it is heartening to see the number of NGOs that are rushing to fill this gap but most of these efforts are still confined to urban areas, and especially large metropolitan cities. We need high-quality instruction to produce high-quality students capable of playing active roles in a rapidly growing country. 4. Prioritize schooling over higher education. In the early 50s, Jawaharlal Nehru, India’s first prime minister, decided to build out India’s higher education platform to compete technologically in the Cold War era. Under his direction, institutions such as the Indian Institutes of Technology were expanded and the country focused on producing more engineers and scientists. But the expansion of higher education was accompanied by a neglect of school education. This continues today, with new engineering colleges mushrooming every day. Schools are often viewed as little more than a means to gain access to a solid engineering program. This remarkable trend has had far-reaching effects. Make no mistake: we are in the midst of a severe education crisis. And it is for this reason that we need to be talking about the subject more and encouraging debate. Because let us be sure that, without a significant change in mindset, education reform is a non-starter and the “demographic dividend” will just remain a fancy term confined to political journals. Since then, I related this story to a few people, and the most common response was: Ibn-e-Batuta? Isn’t that the mall in Dubai? A couple of my more Bollywood inclined friends remembered his name as the title for a song in the Naseeruddin Shah movie Ishqiya. Ironically, if you Googled anything at all a few weeks back, you’d have seen that even Google, that infamous tool of Zionist oppression, celebrated his 707th birthday with a doodle commemorating his travels. And why not? After all, this is a man who went all the way from Morocco in the West to China in the East. He travelled to the Byzantine Empire, Spain and the steppes of the golden horde in the north to Somalia in the south. He even got to Sindh, where he famously encountered a rhino before getting as far as Chittagong. That effectively means that he covered more ground than anyone else until the invention of the steam engine, some 450 years later. Sadly, if you went to one of Pakistan’s elite schools, chances are you’ve never even heard of him. Worse, you may have grown up thinking that everything of value in human history came from Europe. Except for paper of course; that’s Chinese. I don’t blame my son, or any of the similarly schooled people I spoke to. I went to the same school and, by the time I finished my O-levels, I could have told you how many wives Henry VIII had, and what Marie Antoinette’s famous (almost) last words were, but I couldn’t have told you who Timurlane was (is that the next street over from Park Lane? ), and I certainly couldn’t tell a Khwarezm-shah from a Shahenshah (you know, the Amitabh movie where he has his arm wrapped in chain mail). I knew Machiavelli and Napoleon, but not Kautiliya and Sun Tzu. I don’t even blame the schools. The only usable and attractive textbooks are understandably Anglo-centric. The East appears on the periphery, and when it does, it is always through the eyes of the discoverers. All of whom are, of course, dead white males. Our poor little subcontinent appears as a footnote in the conquests of Alexander, or as the land the search for which inadvertently lead to the decimation of the Native Americans.